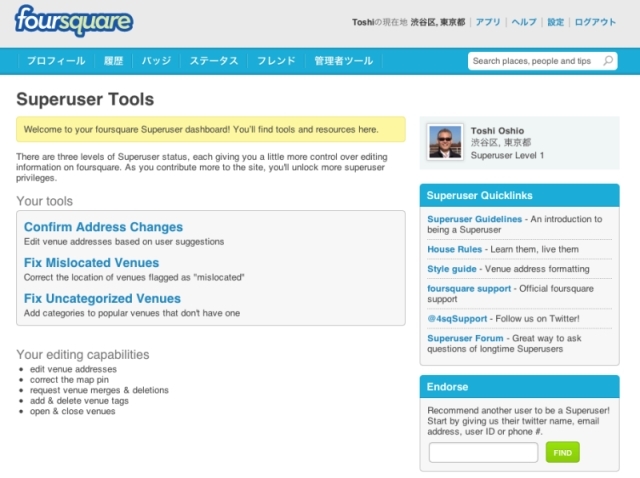 As our user base grows, we’ve been working on a better way to expand our Superuser community and give more tools to existing Superusers. Today we’re excited to launch an official Superuser application process. If you’re a perfectionist who loves proper grammar and spelling, if you twitch a little when you see a duplicate venue, or if you cringe at a venue with missing or incorrect information, we want YOU! 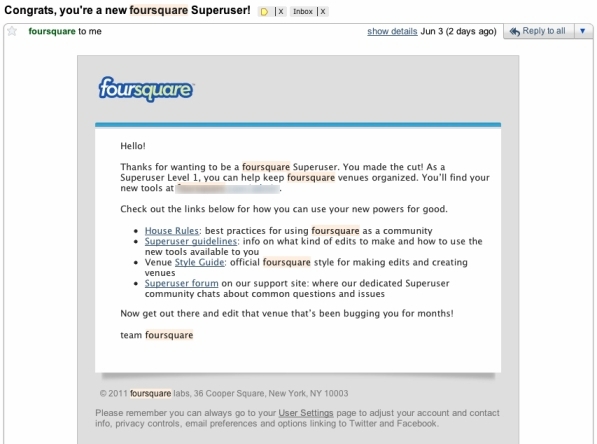 Just fill out this application to apply (make sure you’re logged in to your foursquare account). Friendly tip: you should read our guidelines first!